Who Will Benefit From This Guide? Is Vibration Welding Right For Your Project? If a product design calls for plastic parts to be joined there are several ways to approach the task. The components could be screwed together, attached by press fittings, or they could be glued. Welding is another option – and is especially suitable where permanent bonding is required. If you choose welding there are numerous technologies suitable for thermoplastics, including spin welding, hotplate welding, ultrasonic welding, infrared welding and vibration welding. The focus of this page is vibration welding, which can be an extremely effective solution for joining thermoplastic components. Under many circumstances vibration welding is the best choice for welding plastics because it uses frictional heat to create precise, hermetically sealed seam joints between plastic components. These joints are extremely strong – and can be used on curved as well as flat seams. Once bonded in this way, the two components can become air and watertight and may successfully maintain pressure if required. Vibration welding yields reliable and consistent results time and time again. If you haven’t yet considered vibration welding as part of your design, then we hope that by the end of this guide you will be in a position to make an informed decision. We have written this free guide primarily for design engineers who have a product brief to work on and need an efficient, cost-effective technique to bond plastic parts. Other professionals involved with the design and engineering process may also be interested in finding out more about vibration welding. Different sections of this guide will look into the process of vibration welding itself, alternative bonding methods, and what equipment is required. At Xfurth we specialise in supplying and manufacturing high-quality plastic welding and joining systems. We offer our customers all the main thermoplastic welding technologies from our facility in Luton, Bedfordshire. We are proud to say that our range of Xfurth standard and special purpose ultrasonic and spin welding equipment along with tooling is manufactured in the UK so we can guarantee the high level of quality required from our global customer portfolio. All our machinery is designed, manufactured, assembled and dispatched by our UK based team to customers around the world. Between us, our engineers and designers we have an unrivalled knowledge and experience in thermoplastic welding. We are passionate about our products and are committed to the highest standards of customer service. In particular, we work with customers to ensure the individual needs of your project are met and that any downtime is reduced to a minimum. Our supply partners are carefully selected from among the leading specialist manufacturers in the industry. The quality equipment we provide is offered at competitive prices, with long manufacturer’s warranties on all equipment. Our advisers are available to offer free advice to our customers, and spare parts are always kept at our workshop to facilitate fast repairs. Xfurth are official UK supply partners for CEMAS, a leading manufacturer of advanced thermoplastic systems. They produce several customisable types of high specification machines that are suited to any welding project. If you opt for vibration welding as your thermoplastic bonding technique, we will work together with CEMAS to provide the best solution for your business. Cemas product range includes Vibration, Vibration with Infrared pre-heating, Hotplate, Infrared, Laser, Ultrasonic welding machines and all associated tooling. Vibration welding is a cost-effective simple process with short cycle times and only simple machines required. You can use vibration welding for a wide number of applications and is suitable for large-scale production. It is energy efficient, as it is not dependent on the expensive heating of components (as with hotplate and Infrared welding); and as it gives off almost no fumes during welding, is extremely environmentally friendly. In this section we will take a look at the welding process itself. The principal of vibration welding is very simple. Two plastic components are held in contact under pressure and vibrated so that the edges to be welded rub together creating frictional heat. The heat generated by the friction melts the polymer where the parts join. The pressure controlled by the machine forces the melted plastic to flow away from the welding area, giving a smooth, hermetically sealed weld. Solid Friction Phase: Heat energy is generated by friction between the connecting surfaces. The temperature rises until melting point is reached. Transient Phase: The increased temperature melts the polymer, creating a molten layer linking the components. As this layer increases in thickness, the temperature correspondingly decreases and the material begins flowing outward along the path of the seam. Steady State Melt Flow Phase: When the melt rate becomes equal to the flow rate of molten material, a steadystate is restored. Temperature becomes stable at this stage and the thickness of the weld becomes uniform. At this point the vibration is stopped. Cooling Phase: When the vibration stops, the flow rate of the outgoing material drops and then ceases altogether. The two components are held at a constant pressure throughout the cooling phase to ensure an even and permanent bond. The vibration head is the core of the welding machine and technology. 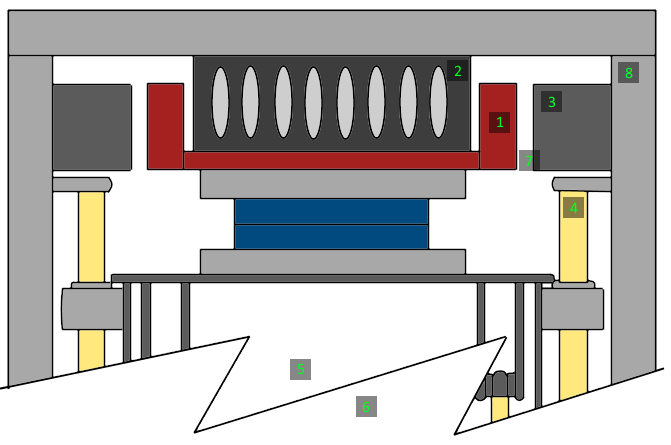 The assembly holding the part to transfer vibrations is known as DRIVE BOX (1). This is suspended through four precision SPRINGS (2) within a steel BASE. The base is carefully designed to ensure a correct transmission of vibrations to part, thus preventing them from being absorbed by the machine frame. ELECTROMAGNETS (3) are used for movement transmission. The linear vibration motion is achieved by feeding a given frequency to each electromagnet. A SENSOR (4) is then used to send a microprocessor real time data on the movement of the swinging unit keeping the welding amplitude constant. Due to their special design and mechanical features, the spring pack is able to ensure less than 0.01mm alignment at the end of welding. While applying vibration to one of the two parts being welded, which is rigidly fastened to the drive box, the other part which is placed on the MOVING TABLE (5) is raised until in contact with the former. Raising is through a HYDRAULIC CYLINDER (6) which also feeds the correct welding pressure throughout the whole process. Table motion is guided through ball sleeves on HARDENED PILLARS (7) to combine rigidity and smoothness required. To prevent transmission of residual vibration to FRAME (8), the vibration head is fitted to special RUBBER BUMPERS whilst the frame is filled with a special sand having high absorption potential. Finally, special VIBRATION DAMPENING MOUNTS ensure a mechanical vibration-proof fastening to ground to prevent noise transfer through solid means. Five important factors come into play during vibration welding, which must be calibrated correctly to get strong, long-lasting results. No two operations are the same, as different polymers have varying melting temperatures, projects have different hygiene requirements, and components have different shapes. All these factors should be taken into account when setting up your welding conditions. Vibrational Frequency: Vibration welding machines operate at a frequency of 100 or 240 Hz. The frequency of the machine required to weld your product is dependent on product size, tooling weight and amplitude required. Larger products such as automotive instrumental panels and pallets are welded on 100 Hz machines, more common projects such as automotive lighting and engine manifolds are welded using higher frequency and are predominantly welded using machines with an operating frequency of 240 Hz. Welding Amplitude: The lower your weld amplitude, the higher the required vibrational frequency. Higher amplitudes result in a quicker weld but at the expense of cleanliness. For best results at high amplitudes, low frequencies should be used. Pressure: Vibration welding usually operates at low pressures of 72 to 290 psi. This can go up to 2,900 psi in some machines. Weld time can be decreased by increasing the pressure in the system. However, with some plastics, high pressure can reduce the strength of the weld by forcing more of the molten material away from the join, often you find the larger the component the greater the pressure required in order to achieve a good consistent weld across the complete welded surface area. Time: The time of operation will affect the strength of your weld. 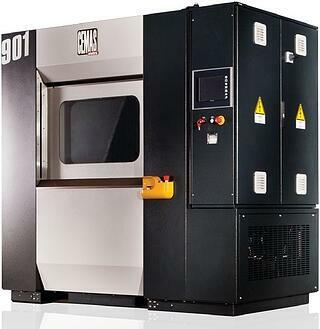 Industrial vibration welding machines can be programmed by time, or by depth. Penetration Depth: The weld penetration or weld depth is how much material is displaced during the welding process this is the key determining factor in weld strength. A threshold value should be set based on the polymer you are using, product you are welding and mechanical requirement of the product. Usually a good weld strength can be achieved by displacement of 1mm-1.5mm of material. When these factors are taken into account, vibration welding produces reliable, repeatable welding results for almost any thermoplastic material. With many different welding options available, how can you decide whether vibration welding is right for your project? It is only fair to say that the technique has its advantages and its disadvantages, so you should carefully weigh up the requirements of your project before deciding which method works best. Compared with other plastic welding methods, vibration welding offers some sizable advantages. No external material is added to the components. Vibration welding can be used on almost any type of thermoplastic, including amorphous, crystalline, filled and reinforced foam. Surfaces do not need special preparation. Heating is strictly localised, therefore minimising the risk of overheating and degradation of materials. Small parts can be vibration welded by using a multiple cavity tool (within certain limits. Please see below). Good weld monitoring capabilities ensure consistent and measurable results in production. The melted plastic polymers are not exposed to air during the process, so there is no risk of oxidation. Welds most materials and even some dissimilar but compatible materials. Can be a forgiving process when component distortion is high. Components must not have an angle between the welding direction higher than +-10 degrees, except if you are using a hybrid vibration machine. A by-product of vibration welding is the creation of dust or fine particles. This can be minimised with vacuum and extraction engines or by using infrared pre-heating. Some modern, hybrid vibration welding machines have inbuilt features to reduce dust and extend angle flexibility. Some materials aren’t suitable for vibration welding. For example, ASA Acrylonitrile Styrene Acrylate cannot be used. Also, vibration welding isn’t the best technique for low modulus thermoplastics. The smaller the component, the more problematic vibration welding becomes, making it difficult for very small parts. Vibrations, especially at high frequencies, can cause damage to sensitive components. Weld surfaces angles need to be under 10 degrees for welding to be successful. Some adaptations will allow you to weld curved surfaces or stepped parallel joints. If the polymers are dissimilar, it is important to verify they are compatible before the material has been finalised. Vibration welding is suitable for a broad spectrum of parts, ranging from the very large, to the quite small. 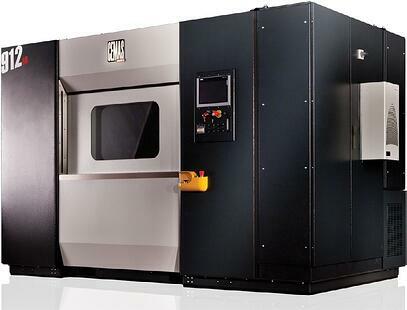 There are limitations on component size, however, depending on the machine you are using. For example, CEMAS’ smallest model, the Type 901 (240Hz), is capable of welding an automotive glovebox, LH & RH Rear Light at the same time, as well as a filter and battery case. The largest machines - Types 950/999 (100Hz) – are suitable for welding garden furniture, pallets and automotive instrumental panels. It is also possible to weld multiple parts at the same time in a larger machine with multi-impression tooling this has the benefit of reducing cycle times on high volume production. There is a choice of standardised machines available on the market to suit any component size or application. Our supply partner CEMAS have an unbeatable reputation forged from more than 30 years’ experience designing advanced welding machinery. CEMAS machines have a global reputation for their innovative use of welding technologies, their efficient designs and reliability. Investing in a CEMAS vibration welding machine will give you a flexible, powerful and cost-effective piece of kit that is quick to install and intuitive to operate. In terms of capital outlay, a vibration welding machine and tooling will generally cost less than an infrared welding machine. CEMAS manufactures seven types of vibration machine to handle almost any project requirement. Compared with some other manufacturers, CEMAS machines are lowcost, reliable and extremely well made. The previous section indicated some disadvantages associated with vibration welding. These include the dust produced by the process, as well as limitations on working with curved and angled surfaces greater than 10 degrees and very small components. Hybrid vibration welders are designed to overcome or mitigate these disadvantages. They do this by using an infrared pre-heating stage before the vibration welding process, to soften the weld joint on the pre-welded components. Significantly reduces dust build up. Allows for a higher angle in the weld direction plane of up to +-20 degrees. Gives an exceptionally strong weld on components that require internal chambers to have a strong hermetic seal as well as the outer surface, such as engine manifolds. Less mechanical stress and amplitude has to be applied onto the component to achieve a good welding result. This can prevent damage and marking on critical surfaces such as on automotive rear lights. The two-stage process results in a longer cycle and hybrid machines are more expensive than standard vibration welders, but for many engineers these are small prices to pay for the benefits of hybrid technology. Although we have advocated vibration welding in this guide, there are alternative ways of bonding plastics. In this and the following section we will examine different options you can take if, following a feasibility study, you decide vibration welding is unsuitable. Some designers find that alternative thermoplastic welding methods work better with their product. As with any welding technology, the welding is what creates the bond between the plastic. There is no requirement for additional fixings or materials; giving a cost-effective, repeatable and environmentally friendly process. This is the big strength of welding as opposed to gluing or screwing parts together. We supply a variety of welding solutions to meet different requirements. Some methods are better suited to different project challenges than others. Among the techniques on offer are spin welding, ultrasonic welding, infrared welding, laser welding and hotplate welding. However, the two most common alternatives to vibration welding are Ultrasonic and hotplate welding. Ultrasonic welding uses high-frequency sound vibrations to create a solid weld between two joints. The two components are held in a pressure grip while localised ultrasound vibrations are applied. This technique creates a reliable join and can also be used for joining different yet compatible plastics together. Relatively low cost: lowest capital equipment cost for standard machines. Equipment is very adaptable for different requirements. Reliable and repeatable welding process. There are many forms of ultrasonic welding, which give you flexibility depending on your product requirement. These include riveting, spot welding, continuous welding, weld and cutting and conventional ultrasonic welding. Wide range of weld joints available for product design. Ultrasonic vibrations can cause damage to sensitive electronic components inside a product, so products have to be designed with this in mind. Some softer materials don’t transfer the ultrasonic energy well during welding so are less suitable when a strong weld is required. Is a development of hotplate welding with no contact between the emitter and component required to heat the weld joint during welding. Where companies have previously been using hotplate welding they are finding that infrared welding is now a reliable and cost-effective option. This technique is also useful for welding large, sensitive or flocked components. Infrared welding is a non-contact technology, so no scraping of a hotplate is required. Compared with traditional hotplate welding, the infrared machine heats the tool only in a localised area and has a much lower power. This makes it a more costeffective method. Modular machines can be easily integrated into a production line. Technique can weld parts of any size; from glove boxes, to dashboards and even pallets. Due to the heating process the cycle time is longer than a typical vibration welding cycle time. The cost is slightly higher than the alternative hotplate welding technology. With over 30 years combined industry experience, Xfurth is in a strong position to advise you on the most suitable welding technique for your product. To arrange a Feasibility Study, please give one of our advisers a call on 01582 436 000. If you decide that welding is unsuitable for your project then the other bonding options are screwing or gluing. These are flexible, low-tech alternatives that can create adequate bonds between plastics, especially if permanent bonding is not required. Screwing techniques involve using screws or tacks to join the components together. Snap or press fittings may be used in place of screws. Low-tech form of joining: Low-risk and does not require significant investment in technology. Cost-effective for low volume production where a simple join is required. Depending on product size you may need four or more screws. This adds screw costs to the project. Screwing parts is also labour intensive for large production runs. You will not be able to hermetically seal the product without the use of a gasket, so this method is unsuitable for flow systems. Using a thermoplastic glue can be an effective way of creating a bond without having to use screws or welding machinery. Gluing is often used in conjunction with welding techniques when radically curved contours need to be joined. High level of flexibility on design, with sharp angles and extreme contours achievable. Can be glued manually, or for larger and complex production runs can be robot glued. High quality glues can be costly. Manufacturing glues involves a complex chemical process that is not environmentally friendly. Difficult to monitor and measure a successful bond. Some glues require long curing times or exposure to UV light to set. Glue heads can often become blocked, requiring replacement or time wasted in unblocking. If not accurately applied, glues can cause high scrap rates due to seam spillage. Some glues require careful extraction procedures due to noxious fumes. We may be biased, but as the official UK partner of CEMAS we have seen at first hand the quality and craftsmanship that has secured their place as global market leaders in vibration welding. Compared to other equipment manufacturers, CEMAS have a more personal and flexible approach to working with customers. This is important when making an investment such as this. Their technical support service is also second to none. Brilliant after-sales and customer service. With five production sites in Italy, Germany, Brazil, Turkey and Mexico, and a further five Technical & Commercial Offices in the UK, France, Poland, Spain and Russia, CEMAS are a truly global operating company. This puts them in a strong position to work and support their customers worldwide. The vibration welding machines are only manufactured in Italy, so the highest European manufacturing standards are assured. CEMAS can customise their extensive range of machines to suit any application or specification required by the customerThis gives them the flexibility to take on almost any project requirement. CEMAS offer an extremely competitively priced product. CEMAS have more than 30 years’ experience in the thermoplastic welding industry. Only use the best components are used in machine manufacture, with pneumatics by Festo, hydraulics by Eaton and control by Siemens. Standardised machines are available very quickly and are kept in stock for customers that require a quick turnaround. 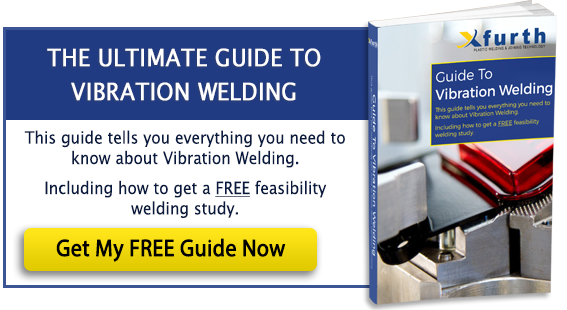 After reading this guide, we hope we have given you enough information to decide whether vibration welding is suitable for your project. If you would like to find out more about taking the next step, this final section shows you what to do. For long-term production or large projects the most cost-effective approach is to purchase a machine. This is a one-time investment that will soon recoup its costs in terms of efficiency and productivity. We also provide expert technical advice, training, installation and ongoing support as part of the price. If you only have a short term requirement or a limited budget, we also have a pool of machines we can rent you for the duration of your project. If this is something that interests you, please get in touch by calling 01582 436 000. We undertake all feasibility studies on new and existing projects free of charge, talking through and discussing design changes with both manufacturer and customer. This expert consultancy service is provided with no obligation to purchase. It is important to us that you make the right choice for your project and you get a machine that meets all your requirements.